Skoda has launched special Tour de France edition variants of the Octavia, Superb and Yeti to celebrate its sponsorship of the cycling event. The TdF edition models come with extra standard equipment including cycle carriers. 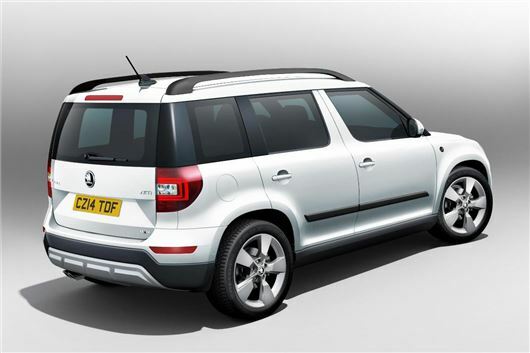 Prices start at £23,490 for the Yeti, rising to £28,490 for the Superb. Order books are open now and numbers are limited to 198 of each. The Yeti TdF is based on the Outdoor SE 2.0-litre TDI 140PS 4x4, but gains DAB radio, Amunsden sat nav, keyless entry, floor mats and an internal bike rack. It’s available in red, white or blue. The Octavia TdF costs £24,290 and comes with extras as the Yeti, but with roof bars and a roof-mounted bike carrier in place of an internal one. It’s based on the SE 2.0-litre TDI 150PS 4x4. Finally there’s a Superb TdF priced at £28,490. It’s based on the Outdoor 2.0-litre TDI 140PS 4x4. It features the same extra equipment as the Yeti TdF, including an internal bike carrier, plus a boot net and a space saver spare wheel. It's available in blue or white.